Understand FDA expectation for reporting for sub-visible particulate testing in biologics injectibles and various methods used for characterization of the sub-visible particles. 02/08/2011 - Water and Environmental Testing Laboratories: Do you have the defensible data you need to meet the compliance requirements of the Safe Drinking Water Act? Are you sure? The Thermo Scientific Water and Environmental LIMS solution will support the way you manage compli­ance in the laboratory. Learn more by viewing our 5 part Water and Environmental (WET) Webinar series. With more & more pressure being put on quality laboratories to become leaner, greener, and more compliant, many organizations are looking towards Electronic Laboratory Notebooks (ELN’s) to help laboratories reach their goals. That’s why CSols, Inc. has developed a new ELN Service Suite which will be unveiled at Pittcon 2011 in booth # 3683. Our service can provide you with the tools needed to successfully plan for an ELN project. Labtronics Inc., a world leader in laboratory automation, is pleased to announce the release of Nexxis ELN 5.05 with support for Microsoft Office including Word, PowerPoint and Excel. 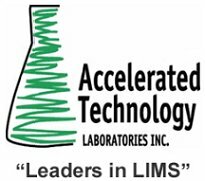 In line with the philosophy of Advantage-lab to provide quality lab equipment at the best price possible, the product line is being enhanced with the leading edge LIMS products from Two Fold Software. Partek Incorporated, a global leader in bioinformatics software, announced today the signing of a distribution agreement with Life Technologies Corporation (NASDAQ: LIFE), a provider of next-generation DNA sequencing technology. The American Association for Clinical Chemistry (AACC) announces two webinars for March 2011: Integrating Mass Spec in the Clinical Lab: What You Need to Know on March 16 and Reinventing Your Lab Outreach Program: Using Proven Strategies to Grow Your Business on March 30. Both webinars will starts at 2:00 pm Eastern and last 90 minutes. Pilgrim Software, Inc., a world-leading provider of Enterprise Risk, Compliance and Quality Management (ERCQM) software solutions, today announced that Megadyne Medical Products, Inc., a Utah-based manufacturer of electrosurgical products, will implement Pilgrim’s integrated suite of automated products beginning with its Document Management solution. Pharma IQ is delighted to announce the date for the 3rd Annual Predictive Toxicology Conference which will help you to increase the accuracy of drug safety testing through the integration of advanced prediction methods, including stem cell based assays and screening into your safety evaluation strategy.